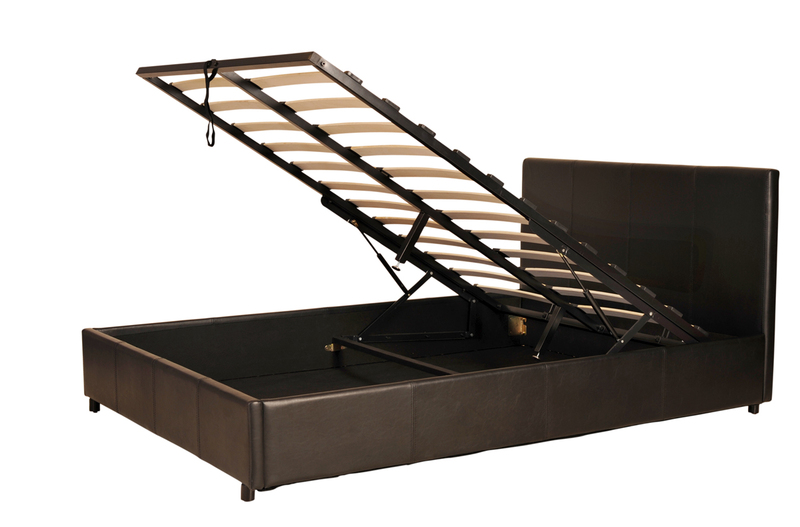 The Prado Gas Lift Storage Faux Leather bed frame will look excellent in any room. With excellent sturdy build quality and its low centre of gravity, this bed is strong yet stylish & elegant to fit the room around it. 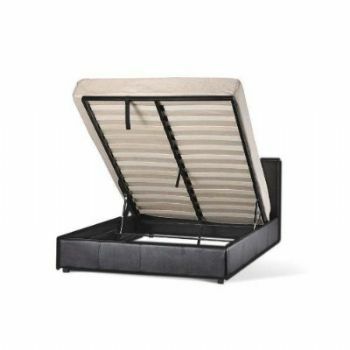 The Bed has a slatted rib cage bed with an underneath storage with a gas lift mechanism. The faux leather and fine stitching give it a modern and classy look while the supportive sprung base will work with your mattress to give you a comfortable night's sleep and prolong mattress life. With a simple lift at the end of the bed, you easily lift part of the bed along with your mattress to reveal a large space for storage with little effort. This bed features a faux leather finish which suits most types of rooms. With a rich finish and fine stitching you are left with a modern frame that you will love. With added metal support legs and a centre rail, this product is well built for its low price point. 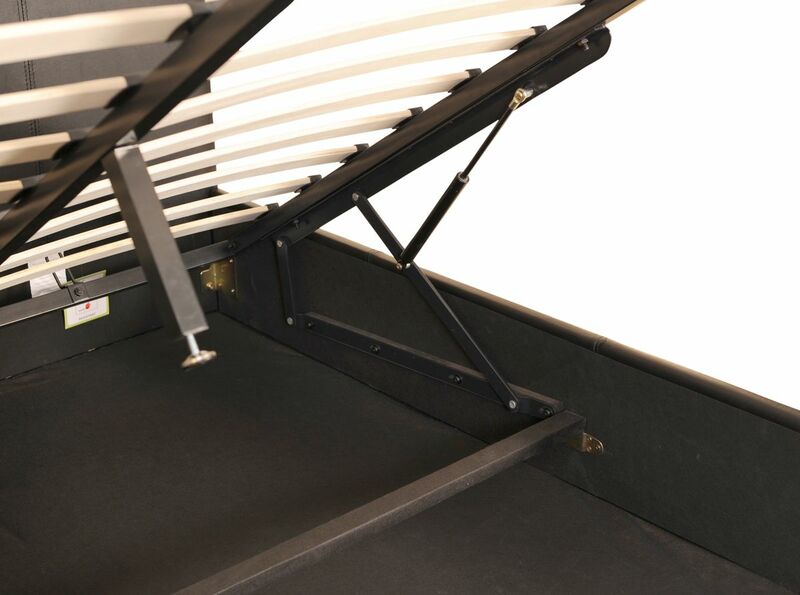 An internal metal structure with metal hinges are used to work along side the gas lift components to ensure the bed is secured and stable. The Mattress is made from unique upper layer of high density visco-elastic polymer gel. Originally designed for NASA missions, it is soft and pliable following the outline of your body perfectly. So comfortable, the mattress provides the best possible support to your spine allowing your body to immediately find the best sleeping position, reducing tossing and turning. The extraordinary features helps blood to flow and circulate freely, preventing the nerves and muscles from numbing. This mattress has a total thickness of approximately 15cm, is available in medium comfort and includes an economy cover. Approx overall Storage height: from 10 up to 17-20(cm) depending on the section of the bed and if the base fabric is used.